Training is here to help us enrich and empower our precious animal’s lives. Training is a mutual communication to enhance the relationship between you and the animals. Training is a shared learning process with your animal, where you and your animal create mutual and clear communication together. Training is an opportunity for us to understand and empower your animal. Learning new behavior/cue is challenging and sometimes difficult for us. This can be applied to our precious animal, horses. But, we can make the learning fun and enjoyable experience for them and for us. Start with something that the horse and you can do now, systematically and carefully develop a training plan (teaching program) including analyzing component skills/prerequisite skills for you and your animal, arranging the antecedent environment, setting easily achievable criteria, using functional reinforcers, continuing raising criteria at a pace that a horse repeats the behavior successfully and reach the final behavior, and constantly modify the training plan based on the behavioral feedback that our horses give us. 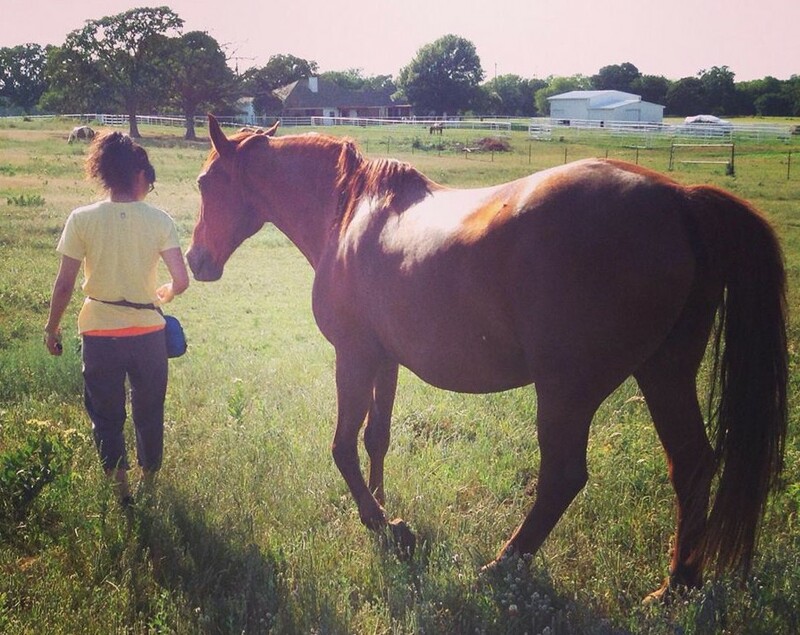 Through training with the constructional approach and positive reinforcement, you can empower your horses. Give them the ability to change their environment. Give them an experience of successful learning. Give desirable function to their new or existing behavior. Give them a fun game to work on. Share the enjoyment of learning behaviors that are useful and effective to live with you. “Empower.” – teach them skills, make the learning fun, and enrich their lives.